Modernization of Higher Education is field which is improving constantly, thus it is very important for the European Union, being a supranational entity that seeks to achieve a better quality of higher education. It means an increased level of students’ success, orientation towards practice-based knowledge and ensuring quality of practice learning, strengthening the quality of higher education through mobility and cross-border cooperation between the EU Member States, as well as applying modern management and higher education financing. The thematic working group is focused on mutual learning between the Member States on the ways to support the modernization of higher education, improving the quality of education through the identification and implementation of best practices in curricula, modernization of higher education management, and the reform of financing of higher education. 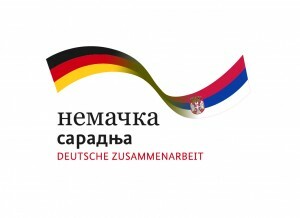 The assignment given to the representatives of Serbia in the thematic working group on Modernization of Higher Education is to participate at meetings and workshops aimed at the sharing experiences among participating countries in the working group, provide information on the best ways to support the process of modernization of institutions of higher education, as well as to provide guidelines for monitoring and evaluation of both management and finance quality. The elected representatives of the Republic of Serbia in the Open Method of Coordination in Education and Training who participate in this working group are Zorana Lužanin, representative of the Ministry of Education, Science and Technological Development and Vera Dondur, representative of the National Council for Higher Education.